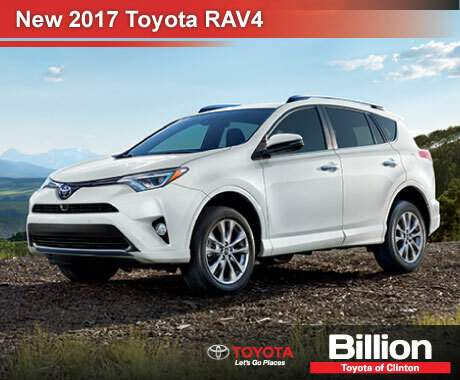 The new 2017 Toyota Rav4 is the right choice for any adventure. You are sure to find the right fit with eight different Toyota Rav4 versions to choose from! Become a customer for life at Billion Toyota of Clinton!